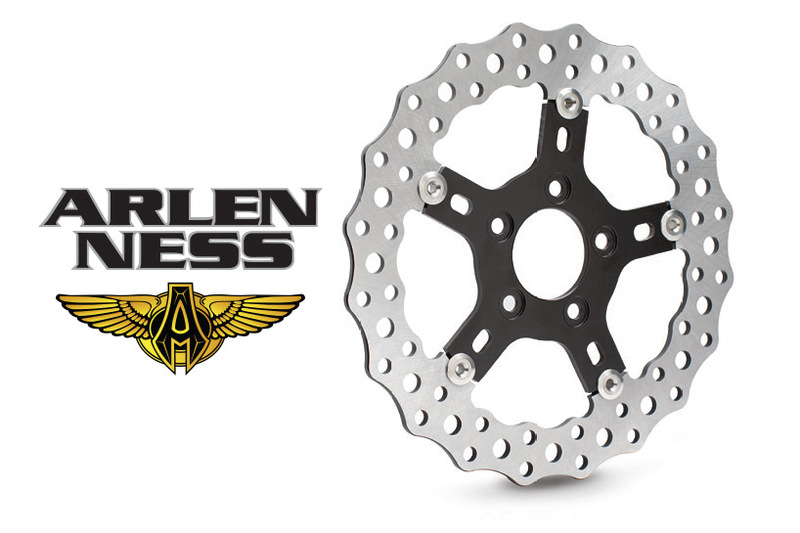 Arlen Ness’s Jagged Performance “Wave” 15 inch front wheel brake rotors have been hugely popular thanks to their stunning design and impressive stopping power. Now, the famous US manufacturer has matching 11.5 inch rear rotors available. These high performance floating brake rotors are designed to enhance braking performance and style of factory or aftermarket wheels. 420 Stainless construction, drilled for optimum performance and heat dispersion provides superior stopping force and durability. Fitments available for most Softail, Dyna, Touring and Sportster models. For more information, wholesale orders, or to find a dealer near you, call Rollies on 07 3252 5381.